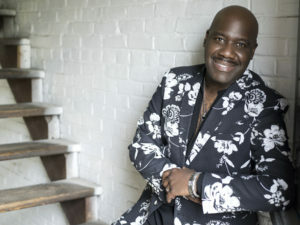 If one were to re-imagine the last 30 years of R&B/Soul music as a sort of “reality show,” full of plot twists, physical challenges, strategic alliances and a cast tasked with using their individual gifts to plot their course for survival…Will Downing might very well be the last man standing! With an almost unheard of 30 year career and twenty solo recordings as proof, it stands to reason music fans are nowhere near ready to vote Will Downing off the proverbial “island” where he continues to reign as the Prince of Sophisticated Soul. Downing’s voice is one of the most distinctive, loved and instantly recognizable voices in R&B. His flawless, emotive, buttery-smooth and honey-toned baritone, along with his impeccable phrasing and jazz-fueled agile runs, seamlessly bridge the worlds of R&B and Jazz.